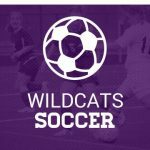 All players interested in trying out for Women’s soccer should attend a meeting this Thursday 12/7 at 3:30 pm in the senior lounge at Awest. We will discuss indoor, pre-season, and camp. 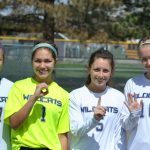 The Wildcat Women’s Soccer Team plays the first state playoff game on Tuesday May 9 at 6:30 at Shea Stadium in Highlands Ranch. Good Luck Cats. 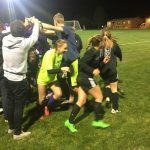 The last home game of the season for the girl’s soccer team and celebration of the senior class will be Friday 4/28 at NAAC at 5pm. 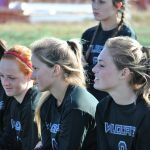 Seniors Maysie Poland, Farron Lopez, Lorryn Bickford, and Sarah White will play their final home game. Thank you to this great group. 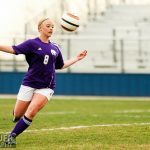 Multiple Teams · May 4 Soccer girls take must win game vs. Dakota Ridge! Saturday March 5th at 2:30 pm there will be a Girls Soccer parent meeting at the Pavilion next to the grass field.